Yesterday, Dev-Team posted a trial fix for Push Notification System to make it work on unlocked or hacktivated iPhone’s with firmware 3.0. I have tried the fix on both iPhone 2G and iPhone 3G and can confirm that the fix is working on both like a charm! 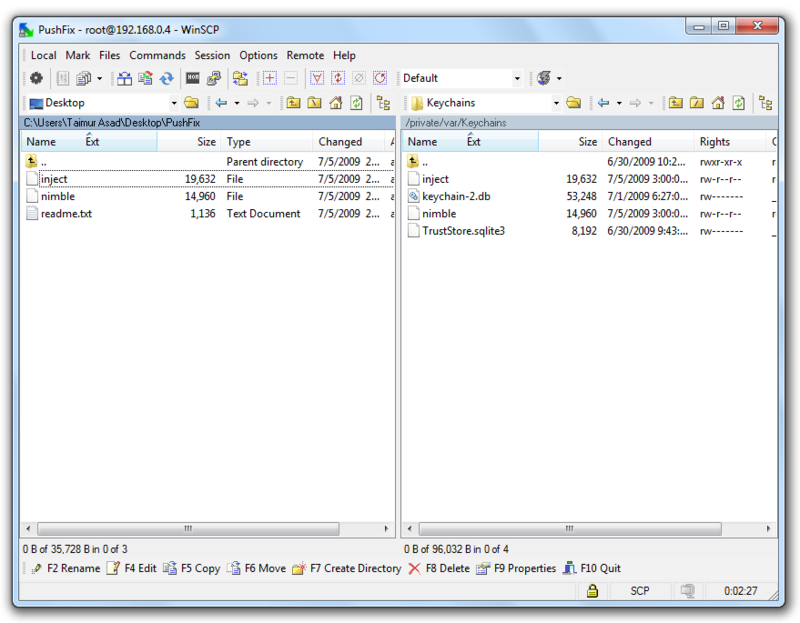 Step 1: Download WinSCP (download link given below) for Windows. Step 5: Once you have logged in, browse to /Private/var/Keychains directory on your iPhone. 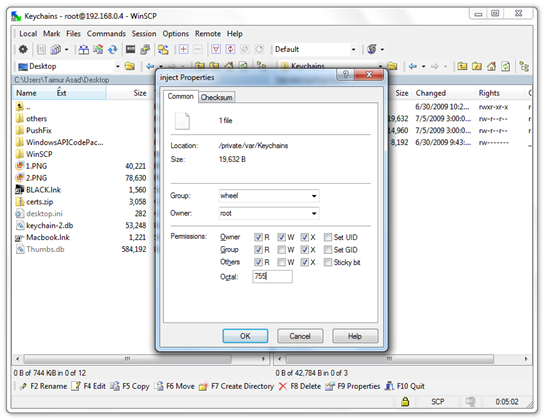 Step 8: Copy the file keychain-2.db (from /Private/var/Keychains) to your computer and then delete it from your iPhone. Copy these files to the same directory(/Private/var/Keychains) on your iPhone. Step 10: In WinSCP, click on “Command” from the menu and then click on “Open Terminal” while you are on /Private/var/Keychains directory on your iPhone. 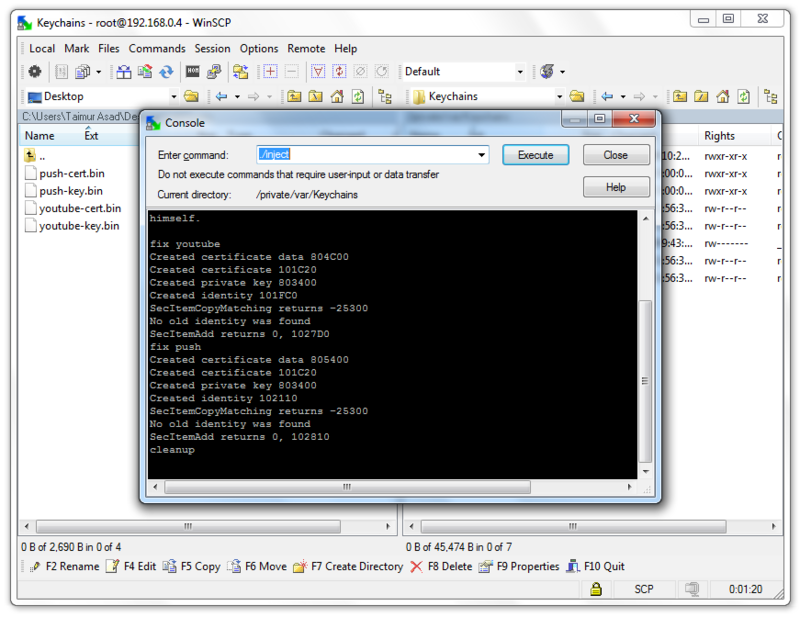 Step 11: Type “./inject” in Console(Terminal) and click enter. This will now generate another keychain-2.db file on your iPhone. Step 12: Close WinSCP session. Disconnect your iPhone from computer and uninstall any Push capable app on your iPhone. Reboot your iPhone. 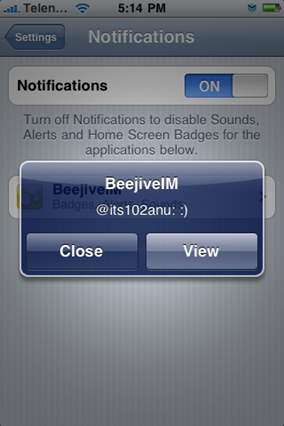 Now install any Push capable app like Beejive IM on your iPhone. Voila! You should now have fully Push capable unlocked and jailbroken iPhone! I have a Cydia package coming out *very* soon. You will never get random push notifications and you will get 100% of yours, just like legitimately activated push. umm my phone is not turning on after i did this!!! installed whatsapp as push capable apps but still no push! but youtube works! what could be the reason? Can I use the same itunes account that I currently have but setting the phone a new phone? Creating a new itunes account is truly undesirable, as I have many songs purchased using my current itunes account. Works great! I FINALLY found the Push Fix files that I needed, and now my youtube works at last! Great and helpful walk through to help set it all up too! Thank you so much! This worked beautifully. On the last step that says to uninstall all Push-capable apps, instead I went to Settings and disabled Notifications. 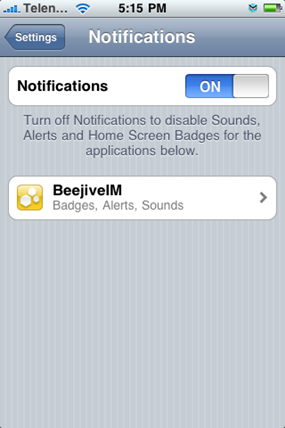 Then rebooted the iPhone, reenabled Notifications. Now when I start each app that can do Push, it asks me like it did the first time, to allow it to use Push. Seems to work without a complete reinstall. Thanks a million. This worked like a charm on my unlocked and jailbroken iPhone 2G with 3.1.3 firmware for T-Mobile. 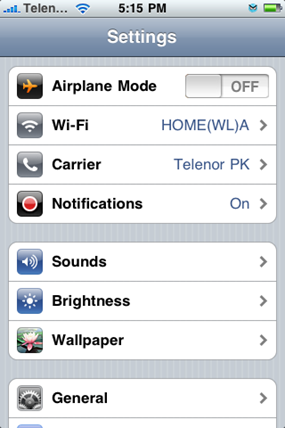 It is not working on my iphone 2g 3.1.3 hacktivated. ¿any clue? after trying all found solutions i am very dissappointed…. I am also having the same problem on the same 3G 3.1.2. Did you find any other solution?